Here at Therapy Health & Beauty Clinic we offer a wide range of Beauty Treatments and Natural Therapies including; Traditional Acupuncture, McTimoney Chiropractic, Aromatherapy, Reflexology, Hypnotherapy, Reiki, and many different types of Massage all conveniently situated within Yate Leisure Centre. Using soothing Australian Bodycare tea tree wax and products. GELeration polish is applied to the natural nail and cured with LED light, it dries instantly and the results are beautiful, shiny, high gloss nails that can last for 2 weeks! Decleor’s holistic approach to beauty gives you the ultimate Aromatherapy experience, using pure plant extracts and 100% essential oils. Every treatment begins with a back massage to revive the senses and finishes leaving the skin greatly improved with a feeling of relaxation and well being. A “Mini Size” treat for the skin! Perfect for anyone with limited time, also a great treat for teenage skin. This speedy power-packed facial is a rescue remedy to revive and boost dull, tired skin. Pure relaxation... The therapist’s trained hands will soothe and relax your back, then your entire face and scalp using massage techniques exclusive to Decleor, say goodbye to fatigue, stress and tension. A relaxing anti-ageing eye treatment using special massage techniques that help to reduce dark circles and puffiness, also soften and smooth this delicate area. A wonderful face and body treatment, consisting of a blissful full body aromatic massage and a facial using Decleor’s award winning multi vitamin mask. Using a luxury Decleor body balm along with a unique massage technique, the whole body, face and scalp is treated leaving the skin soft and supple. A facial for your back! 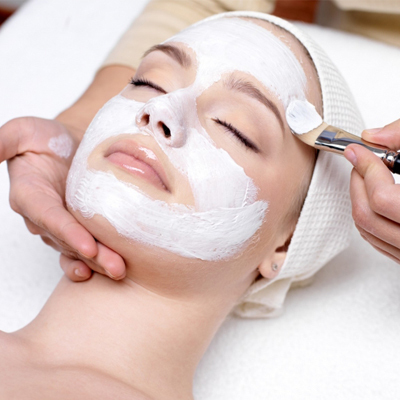 The skin is cleansed, exfoliated, massaged and then a mask is applied to soften and smooth. Treat that hard to reach area! ST TROPEZ® tan treatment Includes an exfoliation then application of award winning St Tropez bronzing lotion. A fast even tan in minutes! Using the popular natural and organic Vani-T product. We use the McTimoney method of Chiropractic which is a whole body approach using gentle and effective adjustments to the body to create balance throughout in addition to free movement of joints and muscles in a drug free and hands on manner. The gentle nature of the McTimoney method makes it especially suitable for people of all ages including young babies, pregnant women and the elderly. Chiropractic can help with a number of problems from back, neck and shoulder pain; pain, discomfort and stiffness in joints; migraine prevention and headaches arising from the neck; muscular aches and pains and well being. Typically most patients need between two and six sessions (your chiropractor will advise) initially at weekly intervals, then gradually more widely spaced out, by which time a noticeable change should have occurred, though treatment can continue for longer. Responses and Reactions to Treatments During a course of treatment most patients feel physical changes as the body re-aligns. These may include a brief period of stiffness or tiredness, but more often a feeling of well-being and relief from stress. Traditional acupuncture is an ancient system of medicine that has been effectively used over several thousand years and has its origins in China and other Eastern countries. From Chinese philosophy, our health is dependent on the body's motivating energy, known as Chi or Qi - flowing through the body in a smooth and balanced way. When this vital energy becomes unbalanced, illness may result. The acupuncturist aims to bring harmony and balance back to the client's Chi. As this happens, the client's symptoms and overall health will improve. 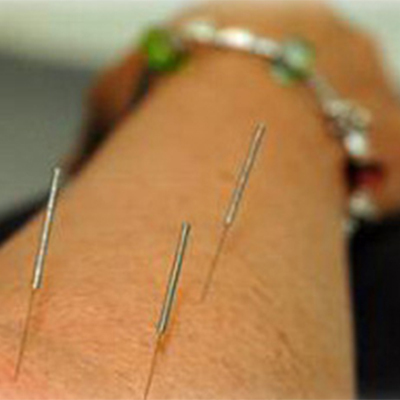 Chinese Acupuncture treats the person individually, looking at life patterns etc. rather than treating symptoms in isolation. This makes it a system of healing that treats holistically and can work on many levels, from the physical to the psyche. The list below gives examples but is by no means exhaustive. Reflexology is a relaxing, holistic treatment which is believed to date back approximately 5000 years, originating in Egypt and China. It aims to stimulate the body's own healing process, enabling the body to restore balance and harmony whilst inducing a feeling of well being. A body in balance increases its ability to heal itself while promoting feelings of relaxation and calmness. It is believed that every part of the body is reflected on the feet and these reflexes are stimulated through reflexology. The therapy treats the whole person rather than as a collection of symptoms. Following a consultation, you will be invited to be seated on a reclining chair or couch. Due to the fact that the treatment will only be carried out on your feet, you will remain fully clothed with just the removal of your shoes and socks. The therapist will work on the reflex points using fingers and thumbs applying different pressures and specialised massage techniques. 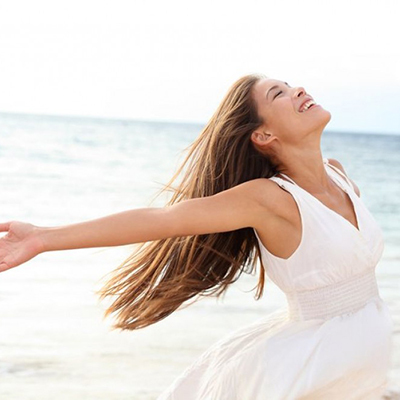 Most people, during the treatment, experience a feeling of being deeply relaxed and soothed. Our lives are increasingly challenged as we cope with ever increasing demands. It is important to acknowledge ways in which we can support ourselves and help cope with the stresses of modern life. It is acknowledged that we are all individuals and may respond on an individual basis to treatments. Following a treatment people often feel deeply relaxed, have reduced anxiety and experience improved sleep, relief from tension and improved sense of well being. Hypnotherapy can also help with many other problems. The number of sessions required varies as it is dependent on the clients’ problem, however, this and the type of therapy will be assessed during the free initial consultation. Reiki is a non-invasive holistic treatment using natural energy flow through the Reiki practitioner’s hands to the client for well being and health. Reiki (pronounced Ray Key) is a Japanese word meaning Universal life Energy. Reiki was developed in Japan in the early 1900's by Dr Mikao Usui. A Reiki practitioner will have received attunements from a Reiki Master to attune them to the Reiki energy, which then is channelled through to the recipient during a treatment. What to expect during the treatment Following a consultation, you will be invited to lie on a massage couch or a chair if preferred, remaining fully clothed. The therapist then places their hands gently on or above your body in a sequence of positions, holding each one for several minutes. During a treatment, you may experience feelings of warmth, tingling and deep relaxation. If you are feeling troubled by worries or difficulties which are preventing you from leading the life you want, counselling can be very helpful. I can offer you the opportunity to explore your concerns in a safe, non-judgmental and confidential space. The counselling process will allow you to talk through your experiences, past and present, and to understand how these are connected with your current difficulties and behaviours. In the process, you will begin to find new ways of looking at your life, and hopefully new strategies for dealing with issues that have been causing you distress. This form of massage would be advised for people suffering from the lasting effects of sports injuries, neck/shoulder stiffness, headaches, tight hamstrings or calves and low back/sciatic type pain (where a confirmed disc problem is not implicated). Generally it is the use of much deeper massage techniques to apply pressure in areas of discomfort, encouraging the relaxation/lengthening of tense muscles. Throughout the treatment the massage will be aimed at both areas of discomfort and related areas of pain referral. Although the client is encouraged to relax, on occasion they may be required to work with the therapist in order to facilitate a greater depth of work. A session may include Postural Assessment, Trigger Point work, NMT (Neuromuscular Technique) – essentially sustained pressure in tense areas to encourage a release of endorphins to suppress pain and so release tension. MET (Muscle Energy Techniques) – a collective name for a variety of techniques that stretch, strengthen or break down fibrous adhesions in which the client’s own effort and movement, rather than that of the therapist, provides the primary force in helping to alleviate the problem. STR – Soft Tissue Release – sustained pressure on the adhered fibres whilst stretching the muscle away from this fixed point by moving the joint. Aromatherapy massage is a deeply relaxing therapy which works well on an emotional as well as a physical level. Aromatherapy oils are sourced from nature (leaves, berries and plant roots) each possessing their own excellent healing qualities. Prior to your massage, oils will be selected to suit your specific requirements at that time. Massage with aromatherapy oils combines the effects of the oils themselves with the important element of human contact between the Aromatherapist and the client. What to expect during the treatment Following a consultation, a blend of essential oils, will be chosen individually for you, in response to how you are feeling emotionally and physically. These will then be diluted in Vegetable carrier oil which is suitable for you, then applied using a variety of Aromatherapy massage techniques to soothe and ease tension whilst you are lying on a massage couch, covered for modesty by towels. This is massage incorporating the use of warmed basalt stones (Basalt stones are chosen for their heat-retaining properties). The stones are heated in a bath of water, dried and then run over the body during the massage to warm the muscles. The warmth from the stones penetrates to create a deeply soothing and relaxing experience. We have 4 different individual therapists that offer Hot Stone Massage, each work slightly differently, prices range from £31-£50 please contact us for more details. Indian Head Massage is a holistic treatment that concentrates on the shoulders, upper back, neck, head, scalp and face. It has been used in Asia over the last 5000 years and is commonly practised daily by the female side of families in India today. It was brought into the UK in the 1970's as a mixture of western and Indian techniques. Following a consultation, you will be invited to be seated on a chair. For the treatment, you will just need to remove upper body clothing and a towel will be provided for your modesty and then oils will be applied using various massage movements to the back, neck, shoulder, head, scalp and face. If you prefer the treatment to be carried out without oils, this is possible, please just bring a t-shirt to wear. Swedish massage is the most common and widespread massage technique in the West, unlike the more spiritual disciplines associated with Eastern types of massage, Swedish is based entirely on Western concepts of Anatomy and Physiology. Combinations of techniques are used including effleurage (gliding strokes) petrissage (kneading) and tapotement (hacking) it is a firm yet often deeply relaxing type of massage. Fascia is a tough connective tissue with a viscous “ground substance” that spreads through the body in a 3-dimensional web, like a knitted body suit. Fascia surrounds every structure and system in the body, as well as being part of every cell and fibre. When fascia becomes restricted from injury, trauma, surgery or stress, it solidifies and tightens creating a crushing pressure on muscles, nerve and the circulatory system causing pain and dysfunction. MFR is a gentle yet effective treatment focusing on improving the function of the fascial system to restore health and relieve pain. MFR addresses the cause of the problem, working on the body as a whole, not just the symptoms. Gentle sustained pressure is applied for a minimum of 5 minutes per technique on dry skin (no oils or lotions are used). 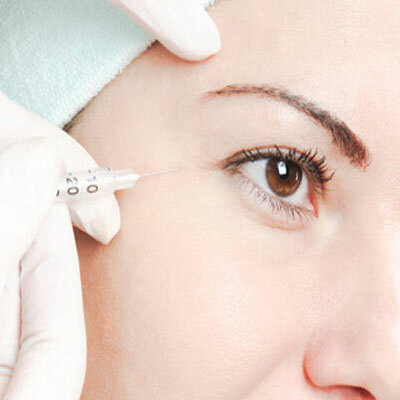 We offer a full range of Aesthetic treatments such as BOTOX and Dermal fillers carried out by the fully qualified and experienced Dr Ruth Rayne. We recommend you book a free consultation with Dr Ruth where she will discuss thoroughly the treatment that is right for you and explain exactly what will be involved in your treatment. Did you find a Therapy for you?